John Buechsenstein has been a winemaker and wine educator in California for many years. Most recently the COO of Sauvignon Republic Cellars, specializing in Sauvignon Blanc from around the world, he has also made award-winning wines at Fife Vineyards and McDowell Valley Vineyards. 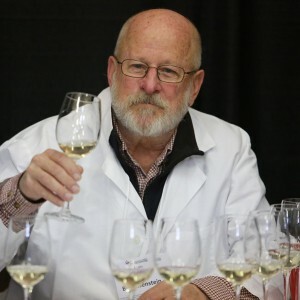 John is a noted educator, serving as a Visiting Instructor for the Professional Wine Studies Program at The Culinary Institute of America at Greystone and Lecturer for UC Davis Extension where he has lectured on wine sensory evaluation for over 30 years. He is a past-president of the American Society for Enology and Viticulture, a charter member of the Society of Wine Educators, and judges wines throughout North America. Among his many publications, he co-authored the Standardized System of Wine Aroma Terminology, known as the Wine Aroma Wheel. UC Press has just published his first co-authored book, Wine and Place: A Terroir Reader – a curated anthology of literature on the subject.